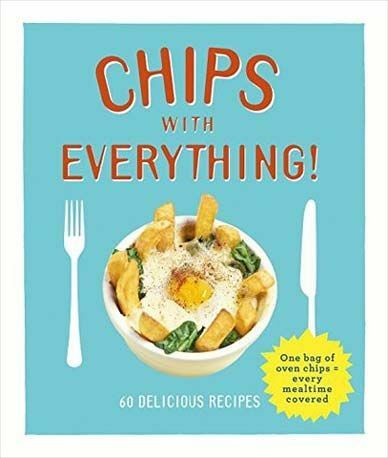 Chips with Everything: One Bag of Oven Chips | Free eBooks Download - EBOOKEE! This book celebrates in wondrous versatility of the worldâ€™s favourite food. In need of an instant energy boost? Try Ultimate Chip Butty or Oven-baked Brunch. Your favourite takeaway is closed? Whip up Classic Chip Shop Curry Sauce or Beer and Onion Gravy in the comfort of your own kitchen. In need of a quick-and-easy snack, turn to Tuna Chip Melt or Loaded Cheese and Bacon Wedges. Really love chips? Why not start off with Chip Pancakes with Crispy Bacon and Maple Syrup, opt for the Leek and Chip Soup for lunch (to keep it light) and enjoy a hearty Chip Carbonara or Easy Chip Moussaka for dinner. Finish off your carb-loading extravaganza with some surprisingly delicious Churros-style Chips with Chocolate Dipping Sauce. No comments for "Chips with Everything: One Bag of Oven Chips".